Adults, including senior citizens are urged to take the time to set up a plan prior to their death. 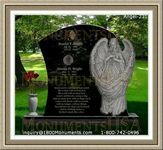 Funeral services are known for being costly. In fact, they are among the most expensive purchases one will make during their lifetime. Planning in advance, whether it be done formally or informally, is helpful. A seniors funeral plan can guarantee that more time is spent mourning the loss of a loved one than stressing over how to lay him or her to rest. It may seem weird to plan for death. Still, there are benefits to doing so. Usually this is done to save friends and family from the stress of planning. If things are set up in advance, there are less problems to face. Advance arrangements should be in writing. This can be handwritten letters or typed contracts. 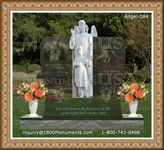 Either way, it is important to ensure that correct steps be taken when it comes to burial, cremation, services and more. Before any big purchase, it is recommended that individuals shop around. This is no difference when it comes to looking for these services. Find the options that fit in your budget and meet your desires. Remember that religious groups, veterans organizations and other collectives may provide alternatives at a lesser cost. Prices are expected to vary based on many factors, including location. Prepayment is a popular choice for those doing planning. To ensure that you receive top value from a prepaid set up, make sure to ask specific questions. Find out what services and goods are included, what will occur if the business goes out of business, whether the contract can be cancelled and if full or partial refunds are available, and if the contract can be transferred if you move from an area. It can be of great benefit to set up a seniors funeral plan. Making arrangements for this in advance is the responsible thing to do and therefore highly recommended. 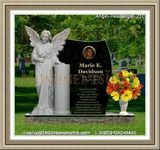 It takes pressure off loved ones to set up arrangements and allows them time to grieve. Death is not always predictable and so making arrangements ahead of time is important.